Ever tried cooking a recipe while viewing it on a mobile device or laptop? You got flour all over your $2000 laptop, didn't you? 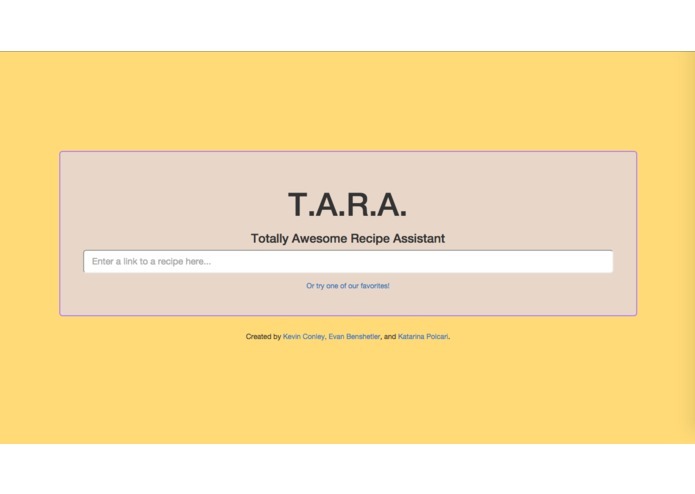 "Totally Awesome Recipe Assistant" (or TARA for short) is a virtual recipe assistant that answers your questions about a recipe while you cook, so you can keep your expensive hardware out of harm's reach. Try asking out loud "How many eggs do I need?" or "What's the next step?" TARA will look at the recipe for you and answer your question. You can use any recipe with TARA. 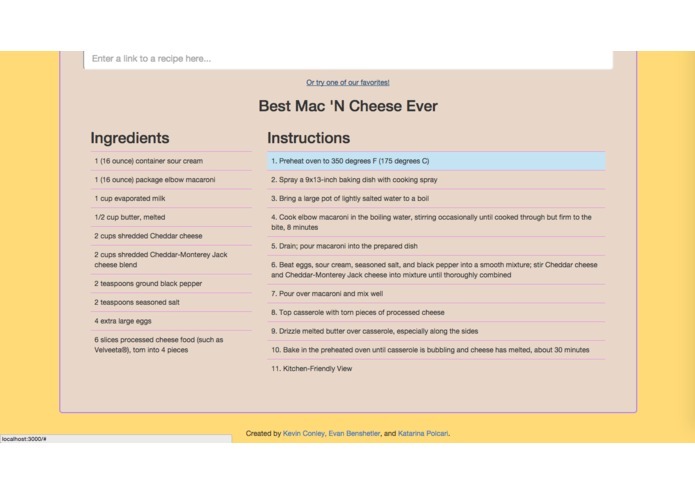 Just paste the link to the recipe in the text box and TARA will automatically load the recipe. TARA is totally smart and totally awesome. Join the future and start cooking with TARA! I worked on the client and server-side logic, integrating the iSpeech API for text-to-speech, Annyang for speech recognition, and wit.ai for natural language processing. This was my first time creating a web app using meteor.js, and I learned a lot.